1 in 22 Million…..Those are the odds of becoming an Olympic Gold Medalist. How does that happen? What does it take? How does a 12-year-old kid with a dream turn it into reality? 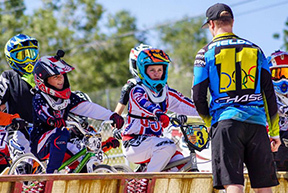 Proper coaching is one of the most important things in order to be successful at BMX. I know I wouldn’t be where I am without the support of the great coaches throughout my career.